The Charity was extremely pleased to welcome a large and enthusiastic group from the Branch Line Society last Saturday 21st May to explore the Cottesmore Branch. The last visit to the Cottesmore Branch by a rail tour took place in the mid-1960’s when the line was a busy place, serving Exton Park, Burley and Cottesmore Quarry systems. The passenger train was hauled in by an Ivatt 2-6-0 tender loco and the tourists alighted by ladder to inspect the ground frames leading into the United Steel Companies sidings, take photos and stretch their legs. The visit from the Society had been arranged to allow members to see the rebuilt Museum track layout for the first time since the site was relaunched last year. 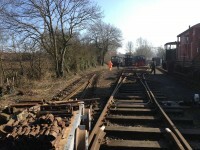 The members benefitted from steam and diesel haulage covering as much track mileage as is currently possible – but with a tempting glimpse of future potential visits as the northern end of the site, the yard and the quarry are completed. Eagle eyed observers will notice SHAUN, the BLS mascot complete with his own Hi-Viz jacket, hiding on the sandbox of SIR THOMAS ROYDEN (AB2088) at the start of the visit. He later transferred to ‘cab’ our own diesel mascot, Sentinel JEAN (RR10204) which explored the yard area with the visitors. The enthusiast following for the small railcars produced by the Wickham company who were based in Ware in Hertfordshire comprises a knowledgeable group who have started to document the whereabouts of those which have survived this far. Prompted by their research, our track teams have been assessing the practical need for rail cars and trolleys to assist with the regular permanent way maintenance and rebuild work being undertaken on our rail system. It is often impractical to carry tools to a job or collect spare components by hand. We are pleased to report that our long time Wickham ‘Lightweight Stretcher Trolley’, works number 8713, delivered new to Stewarts & Lloyds Minerals at their Market Overton Quarry will be retired from track maintenance work and restored as an interesting and unique quarry exhibit featuring removable casualty stretchers. To replace this trolley we have been able to acquire two former Type 17a cars, Works numbers 7445 and 7587 to run as simple unpowered trailers. The first of these, No.7445 was acquired from The Lavender Line in East Sussex late last year and has now been overhauled, repainted and entered service to assist our Loco Yard rebuild team in February 2013. The second trailer, No. 7587 has been acquired from a private collector but was resident at Cottesmore from 1980 to 1990 before departing as surplus to requirements. 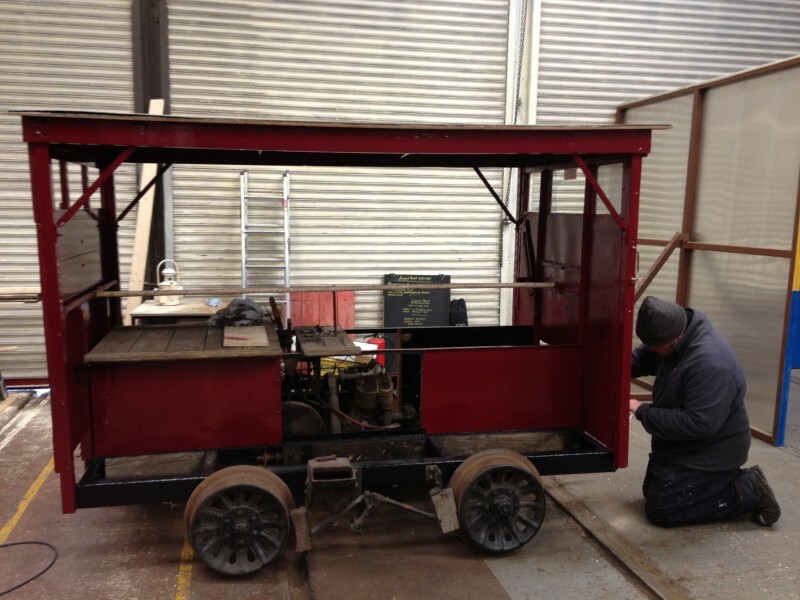 It is hoped that this trailer will enter service later this year after a rebuild. While unpowered trailers might be useful, we have also been able to address the transport of track gangs around the site by acquisition of Type 17 Wickham No.1519 built in 1934 for the LNER and which is complete and close to its original condition. This machine is currently being restored at Hunsbury Hill but is due to debut at the Museum as part of a special event this Spring. While the Type 17 may be highly historic, we hope that in due course we will be able to use a later Type 27 car, No. 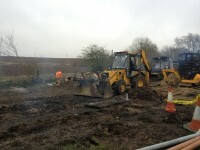 7514 which is being rebuilt off site at the moment by an enthusiastic volunteer. One of the rewarding and unexpected bonuses of rebuilding an industrial Museum comes when the clearance process reveals an exhibit that appears in the collection records and archives but which has not been seen for many years. In recent weeks the curatorial team came across an interesting collection of cast iron sections which were understood to form a once common quarry railway locomotive sand dryer. 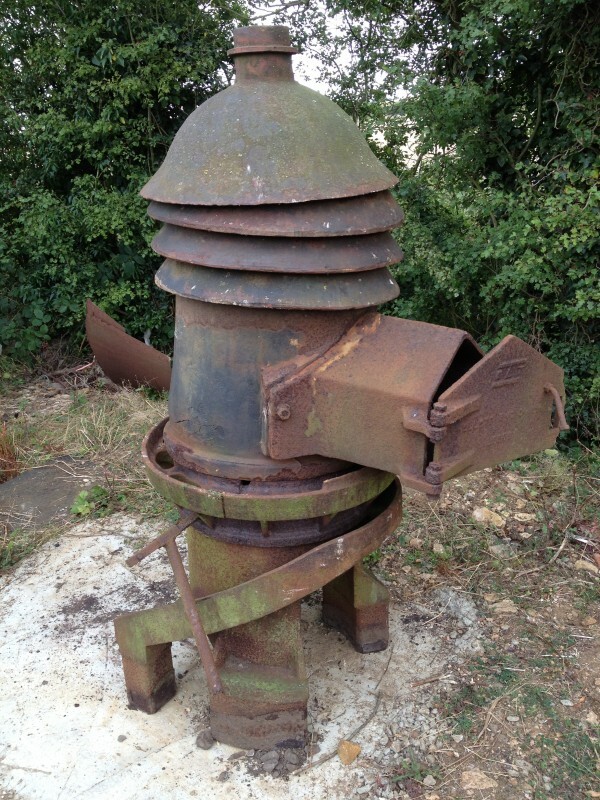 The interesting and intriguing machine came from the local Market Overton Ironstone Quarry and dates from the 1920’s. The sections of the machine were recovered and cleaned and in the last week have been reassembled close to our locomotive servicing facilities on a brand new concrete base ready for commissioning in the near future. 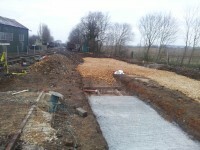 Sand is an essential requirement for the operation of steam and diesel railway locomotives in order to assist with traction on wet or greasy rails. 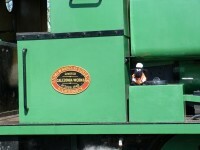 Sand is dropped onto the railhead in front of the wheel tyre by the locomotive sanding system to stop the wheels spinning while starting or stopping. All industrial railways would have set up a sand dryer to produce the dry fine sand required for the locomotive sand boxes, usually housed in a specific building close to the loco sheds. Our exhibit will be a working example and we can already determine that the chimney and outer hopper into which raw sand would have been emptied will have to be replaced. The castings now erected include a fire box and an oriental looking beehive which would have been surrounded by the sand which when dried would run out of the bottom to be collected for use. So, a clever Victorian railway engineering invention – not the oriental intrigue originally imagined! As part of the recent rebuilding of the Museum, the team of volunteers have taken great care to make sure that the storage of operational materials are handled away from those areas in which visitors want to focus on the heritage aspects of their tour. 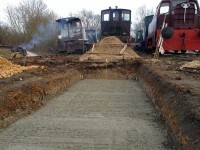 After a great deal of hard work, the team succeeded in relocating a range of poor quality facilities to open up the frontage of the historic Harston Locomotive Shed and in the process revealed a mature and interesting hedgeline. It is intended that this area will now be accessible for all visitors and from time to time will feature a new or unique rail exhibit accessible for close quarters inspection. The area also allows far greater opportunity to watch the rail operations in the busy ‘throat’ of the yard while providing a prime spot to photograph the locomotive taking coal and water at our new servicing facilities recently constructed. 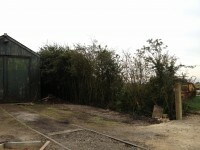 Early visitors commented that the wide expanse of countryside which removal of the box vans has opened up is in stark contrast to the previous impression the Museum gave. We hope that you will appreciate the effort needed to improve this area of the Museum and hope that you will visit soon. 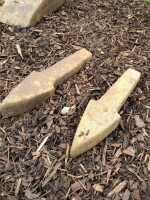 At first glance it might seem that the archaeologists and historians at Rocks by Rail have unearthed some very fine examples of prehistoric archaeology in the form of iron age spear heads! Fearsome stuff for those unweary travellers in these parts 3,000 years ago! In reality, our curatorial team have put on display some of the eye catching items in the collection which date from the Victorian quarrying period – in this case the teeth from an early quarry digger, discarded and lost for many years until found in spoil on the Museum site. The team have created a landscaped area opposite the original concrete loading dock on the quarry trail in which to display these and other finds from the Museum site itself. A number of large pulleys, castings and rollers are other early quarry machinery artefacts on which the curious visiting historian can muse and wonder. The ‘iron teeth’ from the ancient quarry ‘monsters’ are displayed next to the fragments of narrow gauge rail, pointwork and haulage equipment which was found when we redeveloped the Museum site – it is now laid out to resemble the way I which it would have been assembled in use. 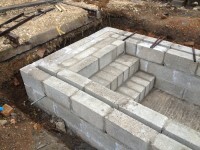 Archaeology in this area has revealed the concrete and brick footings of the 1935 and 1957 tipping dock construction – an interesting series of features which we hope to preserve as an intrinsic part of the site history.